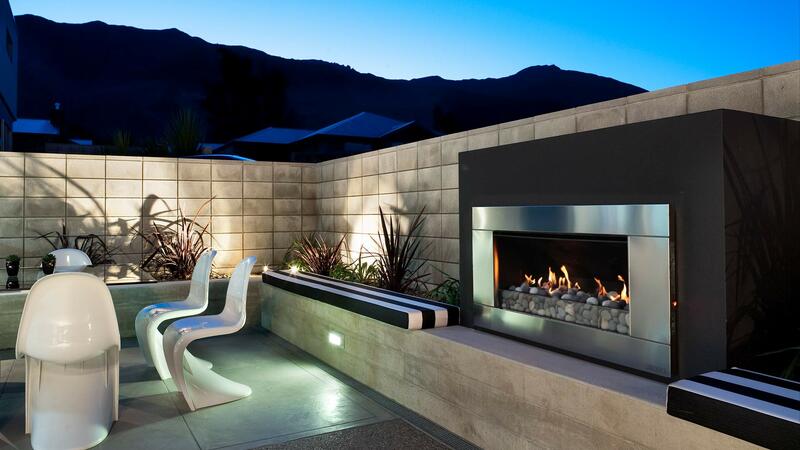 Escea has both a gas and wood fires that create a dramatic focal point in any outdoor living space. Cook, warm and talk. Learn why Escea has the outdoor fire place for you. Why choose between good looks and performance? With Escea fireplaces there's no need to compromise. You get an efficient, powerful and high perfoming gas fireplace that is sleek, minimalist and modern. Escea's outdoor woodfire kitchen is the perfect addition for any foodie who wants to take their outdoor grilling to the next level. The Escea EK wood fire comes equipped with everything you need to achieve a smoky meat lover’s feast. To find further inspiration and ideas for your future outdoor fireplace install, browse through our gallery or get in contact with a retailer in your area to see one of our fires.